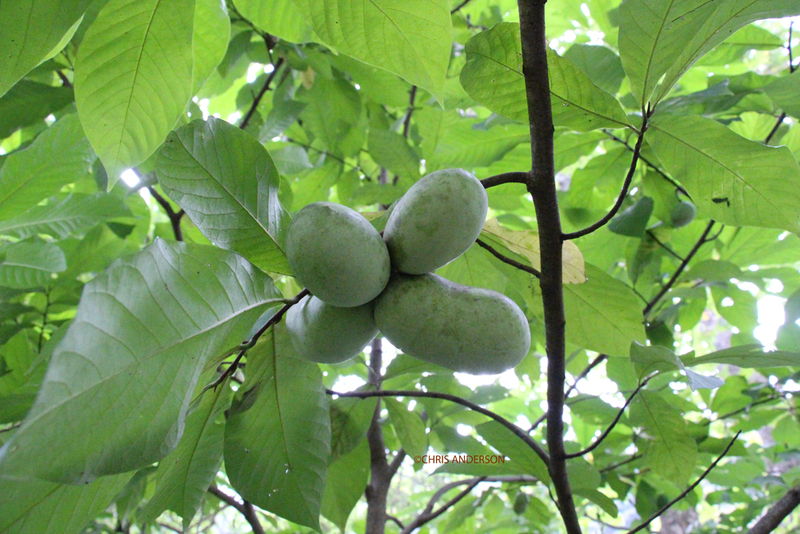 It is difficult to describe the flavor of a ripe pawpaw: light banana mixed with mango with a slight citrus tang and maybe a whisper of apple? Passion fruit, banana, kiwi with a hint of cream? Aside from the elusive flavor, the consistency is intriguing falling somewhere between yoghurt and a plum. This soft flesh makes them difficult to market commercially as they bruise very easily and have a short shelf life. They are only in season in the woods for a limited time in the fall– generally mid-September to early October in the Shenandoah Valley. 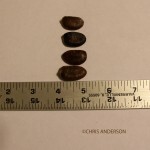 The fruit is the largest of any native of North America, some reaching six inches long with an oblong shape that rests comfortably in your hand. 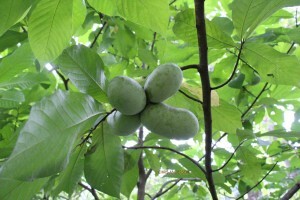 The pawpaw enjoys a certain mystique due to their relative scarcity and perishable quality. They used to be more prevalent in the east, growing happily as understory trees next to streams and rivers. They cannot handle direct sun, however, so as land was cleared and timber cut exposing them to bright sunlight, they have declined in numbers. 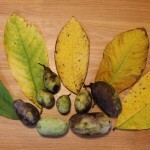 The former prevalence of paw paws is captured in place names with towns in West Virginia (population 508), Michigan (population 3,534) and Illinois (population 870) named Paw Paw. There is also a Paw Paw River and Pawpaw creek and even a PawPaw geological formation in Texas in which was found a skull of a dinosaur subsequently named the pawpawsaurus campbelli. 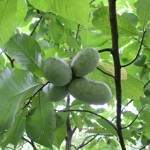 For the last 16 years, Ohio has celebrated this odd little fruit with the annual PawPaw festival with competitions for the best pawpaw wine and a food cook-off with pawpaw mustards, tamales, pies, cookies, sorbet, mousse and even a pawpaw habanero sauce. Just as the culinary crowd can appreciate the fruit, the landscape community can value the tree. Growing up to 25 feet high, the large oblong leaves are ornamental, providing an understory filler to larger landscapes. 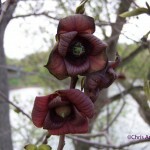 This trees has it all with interesting deep maroon flowers which bloom in the early spring while leaves are still very small. Finally, the paw paw fills an important ecological niche by serving as the host to the larvae of the Zebra Swallowtail (Eurytides Marcellus).